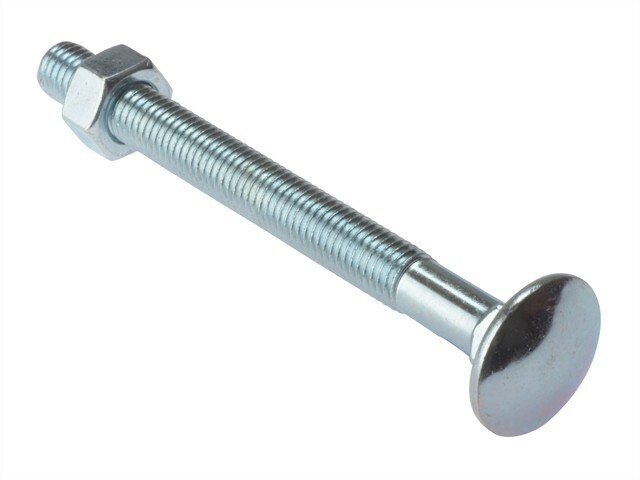 These Forgefix Carriage Bolts are Zinc Plated, and ideal for timber to timber joining. They come complete with a hex nut and are fully threaded to 100mm. Also known as 'Cup Square Hex Bolts', the square underneath the Cup stops rotation of the bolt when tightening. Conform to DIN 603 and DIN 934 standards.